Here's a great example of how our diets literally affect the way you breathe and sleep at night. 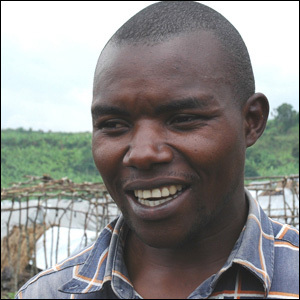 A patient who happened to have grown up in Rwanda told that there are three major ethnic groups in his home country: The Tutsi, the Hutus, and the Twa. The Tutsis are generally tall, pastoralists, and eat mainly soft foods, usually milk products, beans and sweet potatoes. It's also known that the Tutsi have severe cavities, dental crowding and crooked teeth. The Hutus are generally agrarians, but hunt occasionally. The Twas are pygmies, and are true hunter-gatherers, eating nuts, fruits, meat, roots, and grains. They also have the reputation of having great looking teeth. This what Dr. Weston Price described in his classic book, Nutrition and Physical Degeneration: What you eat leads to certain predictable jaw and dental structures. This phenomenon is seen across all cultures throughout the world. Smaller jaws and crooked teeth means smaller airways behind the tongue, with more frequent arousals and less sleep efficiency. It's not surprising that my patient, who happens to be a Tutsi, has obstructive sleep apnea. What type of foods do you eat? Do you eat like an agrarian farmer, or a hunter-gatherer? Please answer in the comments box below. I probably would be between a TWAS and a little TUTSI, after all sweet potatoes and carrots are very healthy. 2 sleep studies have shown I have mild sleep apnea, which my doctor thinks should not give me the terrible sleep I am having. I wake up from 1-3 hrs after falling asleep exhausted. I cannot go back to sleep. I have tried many herbals, Melatonin, Magnesium,ect. sometimes there is a little improvement but most of the time these things do not help. When once in a while I have 5to 6 hrs of sleep I function pretty well but most of the time I end up exhausted and depressed, My eye doctor found out I have acute close angle glaucoma. This was verified at John Hopkins eye clinic. After I had my left eye fixed I was able to sleep well. Now I am back to this terrible interrupted catnaps which leave me exhausted and depressed. I will have my right eye done in 2 weeks. My nose is often somewhat stuffy. I use the netty pot and Boroleum which help. I am a 74 year old female , I exercise and have been healthy until this problem with sleep deprivation. Maybe it also comes from the fact that 4 years ago I had to have my uterus removed because I had also a bladder suspension and they also removed my ovaries. I also have 4 thyroid goiters which tested benign. Various blood tests always are said to be normal. Maybe iodine drops would help, but my doctor thinks I should not do this .My quality of life has become so poor I wish I could fall asleep forever ! Do you think you could help me? It would be difficult for me to come to NY .